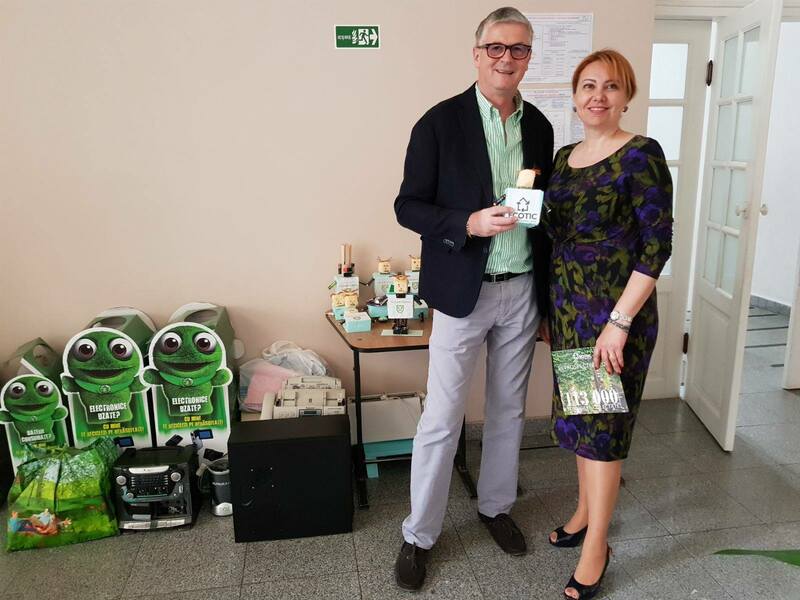 On 11th of May, at the Tudor Vianu National College of Computer Science in Bucharest, Valentin Negoita – ECOTIC President and Dragoş Călugăru – ECOTIC General Director, held a presentation on separate waste collection, ECOTIC and its projects for a group of young peopl e coming from several European countries. The event was part of an Erasmus project focused on environmental issues and waste management, where issues such as the importance of separate collection and the circular economy have been addressed. The action was also achieved through the placement of separate WEEE and DBA collection containers within the institution as part of a collection campaign focused on electrical and electronic waste and used batteries.